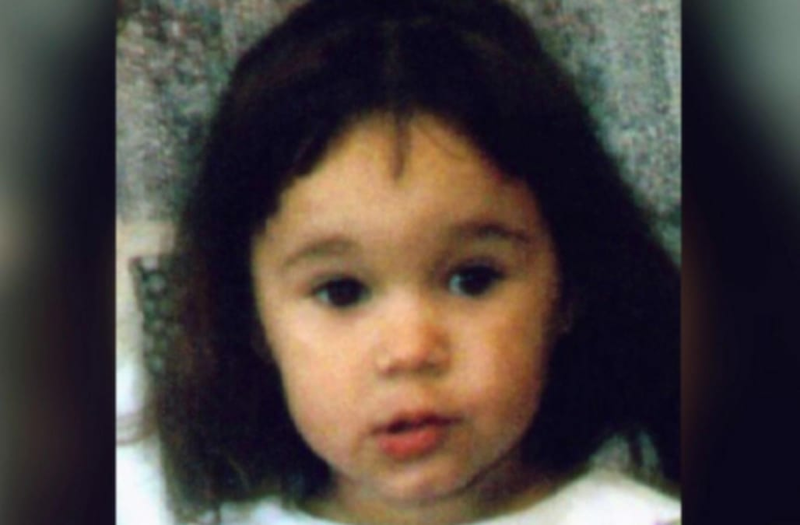 CHICKASHA, Okla. (KFOR) - More than 20 years ago, a 3-year-old Oklahoma girl disappeared. For decades, her face has been on missing and exploited children's posters across the country. Her father has never stopped searching for her, but now investigators are working the biggest lead this case has ever had: A possible DNA match they are hoping will finally end the wait for Bethany Tiner. "I want her to know that I was waiting for her to come home, and I still am, and all the years she's been gone," Bethany's father, Joe Tiner, said. "I've never forgot about her." Bethany's big brown eyes have been staring back at strangers from missing and exploited children's posters, and for decades haunting every moment of Joe's life. "He would wake up in the middle of the night, and he was a mess," Joe wife, Kellie Tiner, said. "He would be crying and a wreck. There are times he had to miss work, because he couldn't do it anymore." It has been more than 20 years since Joe's ex-wife fled the state with the couple's youngest daughter, Bethany. She was just 3-years-old at the time and was last seen at the Watson Mobile Home Park in Chickasha where she lived with her mother. "The last time I saw Beth was right around February of 1996," Joe said. " It was a crazy time, because during a six month period, I lost my marriage. I lost my daughter, and then my father died two months later." Joe and Bethany's mother, Teresa Kennedy, shared custody of Bethany and her older sister, Catherine. But one cold February day, Teresa took off with Bethany and left Catherine behind with Joe. He hasn't seen them since. "I'd called up there looking for her and tried to get in contact with police. Back then you tell the police 'this is what happened, and I have a court order,' and you're talking to someone in a different state, and they say, 'Number one, she didn't commit a crime in our state, and number two it's a civil matter. You'll have to take her back to court.'" Joe said. "So I flew to Washington on January 1, 1997, and I waited and waited and waited at the Starbucks at Seattle National Airport. Waited. Waited. Waited. She never showed up," Joe said. "I probably waited 12 hours." "And you know what they said to me when I walked in there with that court order? 'She didn't commit a crime in our state. That's a civil matter. It's not a judge from our state,'" Joe said. "Finally, I just had to leave without her." "I get a call from a detective, and the detective says 'come down here I need to talk to you about this,'" Joe said. "When I was handed the case, I was handed a binder about four inches thick and started reading through it. No DNA had ever been taken from the father or any family members or anything like that," Brewer said. "We met, and he collected my DNA," Joe said. "Your adrenaline gets going, and then it stops, and I guess that's one of the reason it's so close and dear to my heart, this case is just because of the fact that I'm so emotionally involved in it. I get those highs and lows just like Joe does," Brewer said. So many possibilities sightings. So many potential leads. Only to be let down, until now. Out of the blue one day, Joe got a Facebook message from a young woman who saw Bethany's photo on a missing child poster and realized it looked eerily similar to a photo of herself as a child. There were also other details that only the real Bethany would know. "The young lady said, 'I have this birth mark. It's on the left side right above my hairline,'" Joe said. "This isn't just your run of the mill. This could really be her." "Very, very striking similarities. Facial similarities," Brewer said. "We're not saying at this point and time that this is Bethany Tiner, because DNA will prove whether it is or is not," Brewer said. The young woman is in her early twenties just like Bethany. She also submitted a DNA sample to investigators, and now they are waiting on the results. "So what happens if it is her?" "That's a good question. Obviously we will take her out of NCIC," Brewer said. "We will have a lead on who gave her up for adoption, and we will go from there." In the meantime, Joe continues to correspond with the young woman who could be his daughter. "It's a very complicated feeling, but at the same time understanding that may not be her," Joe said. "So then, getting that switched off to where it may not, but yet she is a person, and she's somebody's baby." Those rush of raw emotions buried beneath years of guilt and pain not only brought out hope, but something else. "When I went to get Bethany, and she didn't come home, I put these in a box, and I taped it up," Joe said. Christmas gifts for his three year old little girl. They have been tucked away for years and untouched until now. "These were her gifts that I got for her, and I have not taken them out of the box," Joe said. "These are treasures to me, and I want to be able to hand her this box and say, 'Oh, and by the way, I know you're not three years old anymore, but here's your Christmas gift, and by the way, I never forgot about you, and I thought about you every day since. That's what's in the box, and I tried to come get you. There's the ticket,'" Joe said. The toys are now dated. Bethany is now grown. "If this is her this will resolve a big issue in my life, but it doesn't replace her childhood," Joe said. But there is one thing time has not touched – a father's love. "Somehow, I'll work through that. We'll work through it together if it's her," Joe said. Authorities say the results of the DNA test could take up to three weeks.